If you are thinking of opening up your home to the back garden, then a perfect solution could be to install a set of UPVC Patio doors. What are the different Patio Door designs & what are the main features of each? What are the advantages of using UPVC for an external patio door? 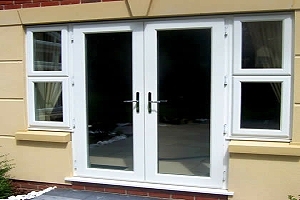 A general guide to UPVC Patio Doors Prices. Those costs are just a rough guide to give you a general idea of the price brackets for each type of patio door design in white uPVC, we go into a lot more detail below. As highlighted just above, it’s fair to say that the 3 most often installed types of patio doors are sliding, French or Bifold. So, what do they look like, how do they function and how much do they cost? OK, so it’s not going to be a surprise to anyone to be told that the primary function of this design is that they are sliding doors. Mounted within the main door frame on top and bottom guide tracks, these doors bypass each other as they move left or right. A 2 door configuration will allow both doors to move, or if you prefer, one of the panels can be of the fixed immovable type. With a 3 door install, most choose to have all 3 doors be able to move to the left & to the right. For a 4 door configuration a lot of owners choose to have just 2 doors opening from the centre only – they slide away from each other towards the side of the frame. This configuration is sometimes referred to as a “Sliding French Door”. This design is not complex and is relatively simple to install and you have a clear mostly uninterrupted external view, even more so if you use a slimline frame version. There are literally hundreds of suppliers, so you can find them with ease. It also helps to have such high levels of competition in order to keep prices lower. Modern tracking systems allow for super smooth operation and ease of use, so you don’t need to be a body builder to open or close them. These tracks also prevent lifting, so a burglar can’t lever them off the track once they are closed and locked. Coloured UPVC can be used, so that gives a lot of choice (up to 20 foil colours) in terms of appearance – even to the extent that you could use two colours, one inside, one outside. 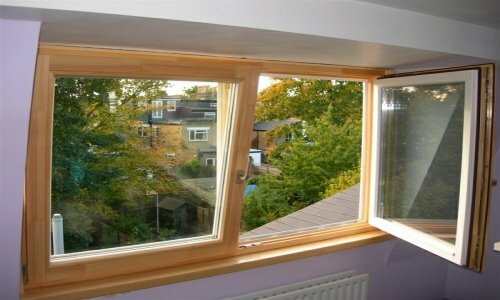 Pricing, UPVC sliding patio doors have some of the cheapest patio door designs. Well, the panels are quite large, and although they move quite easily, if the patio door is your only exit to the garden, then it might get a bit tedious to open & close a big door if you go in and out a lot – or have children or pets that are in & out every 5 minutes. You need to keep the lower tracks very clean. 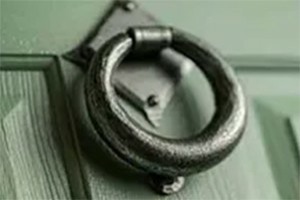 Dirt, grit or stones getting in there can possible derail the door or make it difficult to move. If you let the track fill with dirt, then you could even end up allowing water to cross the threshold when it rains outside. Because the doors don’t swing or fold completely out of the way, you will lose some of the opening area because the doors are still there, even though they are slid to the side. How Much Are UPVC Sliding Patio Door Prices? Without doubt, Bifold patio doors are something special. The opening function of the doors, which folds them to the sides, leaves a full width 100% clear aperture. This ultra-wide opening virtually removes the entire wall, allowing an uninterrupted experience of the outside of your home. Even when closed, modern slim-line steel reinforced frames mean that Bifold doors are not intrusive to your field of vision. The doors run on super smooth roller bogeys and the leaves fold to the right or left and stack to the outside or the inside of the frame. Outer stacking doors mean that they don’t interfere by taking up any space in the room itself. A neat feature for installations with several panels is the traffic door. Unlike a sliding patio door design, you can designate a panel to swing, rather than slide. 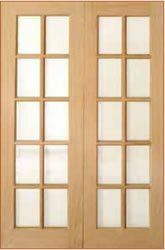 This panel will then operate like a regular door which is extremely useful for entry and exit without having to release the locks on all the other panels. This can come in handy for kids who are always on the move or for when the weather outside is somewhat inclement. Number one is surely the view, to describe it as panoramic does it justice. The ease of opening and closing is surprising – the nylon & stainless steel bogeys take all the hard work out of it. Bifolds are very secure with each panel able to have individual upper & lower shoot bolts. A recent safety factor introduced are “finger-safe” gaskets. These are rubber strips on the inner edges of the hinge sides of the doors that prevent serious injury from trapped fingers. This design is great for all size openings, and it is way more practical than a sliding door design for a 2 panel installation, because the doors fold out of the way and don’t obstruct like the fixed frame sliding designs. As with the other designs you can use coloured or wood-grain uPVC to personalise the appearance. Full length tempered safety glass is standard. There is not much to say on this point, other than the doors are quite complex to install, as there are a lot of things to adjust so that the doors sit “square” and “run true”. You will also find that price brackets for bifold patio doors are higher than both French & Sliding versions. One potential problem, although unlikely, is that if you have the doors part way open and there are very strong winds around, the doors could move as result. How Much Are UPVC Bifold Patio Door Prices? How much do 4 panel bifold doors cost? How much do 2 panel bifold doors cost fully fitted? Easily recognised from the side-by-side double door setup that swing open from the centre, French doors seem to be quite a firm favourite with British families, not only as a patio door, but also as a conservatory door or porch door. The jury is still undecided, however, on which way to have them open is the best – out or in? This dilemma can be solved by looking at two factors 1) will the door interfere with anything once it’s open? 2) tossing a coin! The first is obviously the serious answer, because if the door is going to get in the way or take up valuable space as it opens or closes, then have it open in the opposite direction. Personally, I prefer outward opening French doors as there is a certain appeal to just “throwing the doors open” and stepping through. As an observation, it would also seem reasonable to assume that having the doors open outward makes the door somewhat more secure as an intruder can’t just “barge” them and burst the doors inwards. The two prevalent styles are to have full length glass doors or to feature small mullioned panes in a 2×5 or 3×5 pattern (see image on the left). Both styles can feature a centre mullion post (where the doors meet) if you want, but I would say having one is a bit impractical as it can really get in the way. However, having a centre mullion would allow you to have one door open in and the other open out – but then it’s not really a “French” Patio door anymore is it? This swing door design allows for the use of multi-point locking that keeps them secure, double glazing adds to their energy efficiency. Similar to UPVC Bifold or Sliding doors, French UPVC patio doors come in a range of colours and wood-grain effect finishes from which to choose. The styling is very appealing, giving the home a classic, even timeless look, and as a swing door, once opened, they leave a nice clear entry / exit way. There are lots of ways to personalise them – using more (or less) mullions, adding bullseye glass panels or pattern glass. If you go full length glazing you could use leaded patterns. The cost bracket of the average sized French patio door is quite competitive, so they are not overly expensive to buy and fit. Once again, you have a good choice of colours and surface finishes, including wood-grain and dual colour options. They are very easy for anyone to use and also get out of the way when they are opened. It’s up to you whether they open in or out. You can only make a single set of French doors up to a limited width. So any size opening over 2000mm is likely to need side panels. The doors will need a threshold which, if it is too high, can cause some inconvenience or even an accidental trip. Wheelchair access would be somewhat compromised. The door widths below are for the pair together. 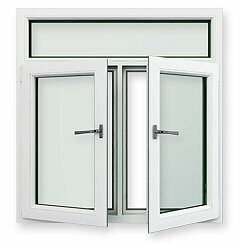 How Much Are UPVC French Patio Door Prices? Having a patio door installed is a great idea, you get more light into your room, you get easy access to the garden area and it gives your home a facelift that can add real value in both lifestyle and monetary terms. The patio doors industry is a mature market with lots of experienced manufacturers, suppliers and installers, so if you look around you are going to find the product that you want and at a decent price. Our job is to help you find the right patio door at the right price, so just send us a few simple details about your proposed project and we will do what we do best – click here to request your free quotes.